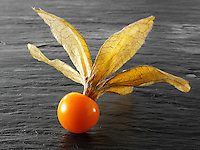 Fresh Cape Gooseberries, Physalis, food photos & images. Physalis peruviana, known in English as golden berry (South Africa, U.K.), cape gooseberry, giant ground cherry, Peruvian groundcherry, Peruvian cherry (U.S.), poha (Hawaii), jam fruit (India), aguaymanto (Peru), uvilla (Ecuador), uchuva (Colombia) and physalis. 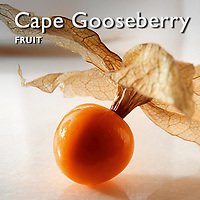 It is indigenous to South America but was cultivated in South Africa in the region of the Cape of Good Hope during the 1800s, imparting the common name, cape gooseberry. 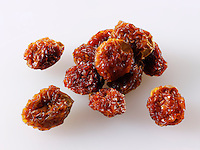 The fruit is a small round berry about the size of a marble with numerous small yellow seeds. 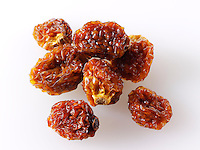 It is bright yellow and sweet when ripe, making it ideal for snacks, pies or jams. 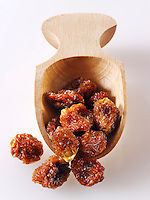 It is popular in fruit salads, sometimes combined with avocado. Scientific studies of the cape gooseberry show its constituents, possibly polyphenols and/or carotenoids, demonstrate anti-inflammatory and antioxidant properties. In folk medicine, Physalis peruviana has been used as a medicinal herb for cancer, malaria, asthma, hepatitis, dermatitis and rheumatism. None of these diseases, however, is confirmed in scientific studies as treatable by the cape gooseberry. Photo Art prints are also available to buy as high resolution stock royalty free images of travel images to download on line or buy as photo art prints.